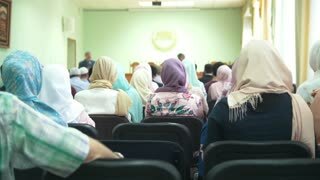 Close up view of cute beautiful muslim woman in hijab. Modern muslim people. Two pretty muslim women with hijab in cafe. Sitting on couches at a table and talking.